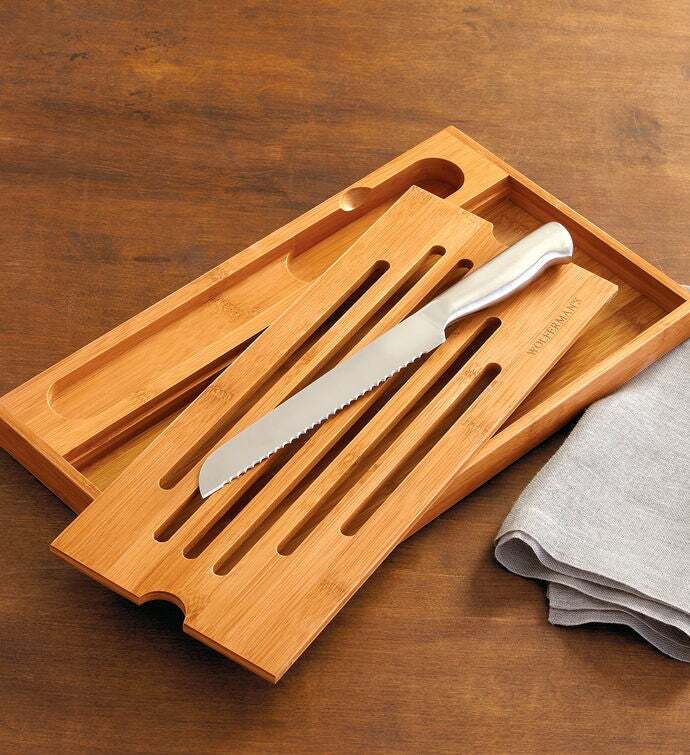 Slice your way through loaves of bread with ease and in style with our Cutting Board with Knife set. Crafted with bamboo, this bread board is stronger and more durable than most other hardwoods, creating a resilient, moisture resistant, and naturally antibacterial cutting surface. This charming bread board is an ideal kitchen gift that features a mess-free crumbcatcher and a seamless, stainless steel bread knife that will cut through even the thickest of crusts.